A new teaser trailer has been released this week for the upcoming new Battlefield 1 map Giant’s Shadow DLC. Which will be available from December 20th to all as a free download to Battlefield 1 players. Those gamers that have a Premium Pass and those that pre-ordered the game will get early access starting on December 13th. The new Giant Shadow DLC Will be the first major update to the game since its release earlier this year. The new Battlefield 1 contains a single map named Giant Shadow and a load of weapons created for the Grenade Crossbow Support classes and paves the way for the first premium Battlefield 1 expansion that will be made available during March 2017. The Battlefield 1 map is set in the shadow of a giant downed blimp and includes a heavily armoured train and is based on the battle of the Selle in 1918. During which the combined forces from Canada, United Kingdom, and New Zealand battle it out against the German forces. Check out the latest teaser trailer to learn more about the new Giant’s Shadow DLC that will be made widely available later this month on December 20th, 2017 and will be available on PC, Xbox One, and PlayStation 4. A new Specator Mode is also part of the update. In Spectator, players will be able to join a live Battlefield 1 match as an observer. Observers can switch between first-person and third-person camera views of all players on the battlefield, get a bird’s eye view of the action, or use Free Cam to fly through the map. You can expect an improved usability and flow moving from player-to-player and switching between the different view modes (Table Top, Player View, and Free Cam). Spectator Mode will also be a viable tool for the community to create content which includes a moveable third-person camera, depth of field, and various camera filters. There is also a new Custom Game option: Standard Issue Rifles. With this option toggled on, all classes are granted access to their faction’s standard issue rifle – and this rifle only. This option can be enabled or disabled with other weapon types to create a variety of experiences. For example, the British Army will be granted access to the SMLE MKIII. 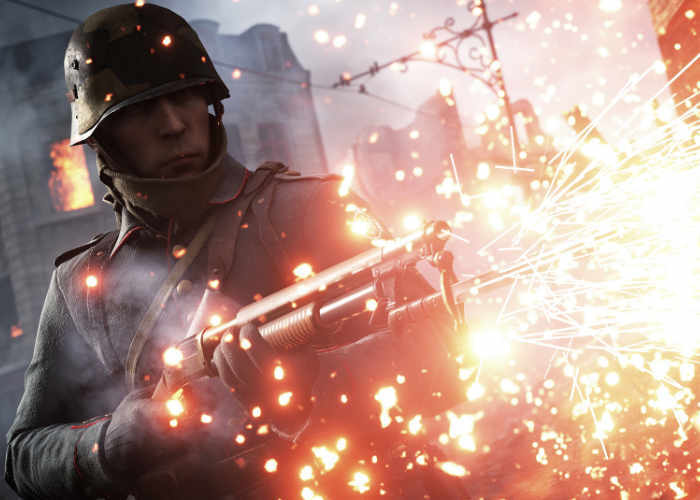 These weapons are not equipped with optics, and are intended to provide players with gameplay inspired by the WW1 trenches.